Today FOLD Systems released version 0.6.0 of Eulumdat Tools, the Eclipse based toolset for managing, editing and verifying EULUMDAT photometric files. You can check for online updates, so you online download and update what has changed. You can look at important product details right in the Project Explorer. 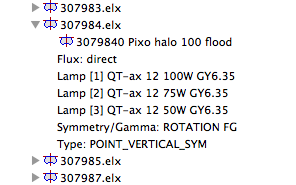 In this view you can examine Symmetry, Gamma (fixed or variable), type of light source, CIE Flux Distribution and Lamp Sets. 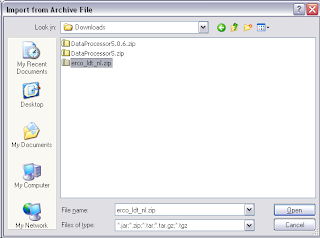 Many manufacturers supply their EULUMDAT photometric data files as ZIP archives. We are going to show how we can import these files directly into our workspace. 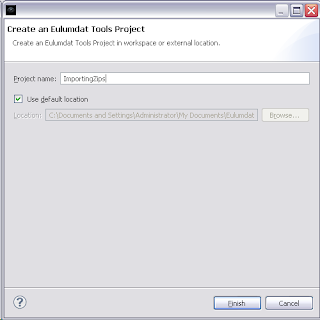 Eulumdat Tools allows you to import these files directly into the workspace, without first unzipping the archive. Step one is to create an example project in the work space using File/New.../Eulumdat Tools Project Then we create a new folder in the project using FIle/New.../Other.../General/Folder and call it eulumdat. Then we select File/Import.../General/Archive File and press Next. We browse to an Eulumdat zip we downloaded earlier and select it. We use ERCO data from here. 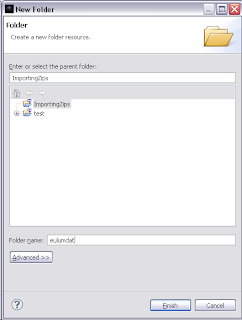 We can select and deselect individual files in the list before completing by pressing Finish. Extraction from the ZIP file proceeds. When new projects or fils are entered in the workspace, they are validated immediately using the current settings. 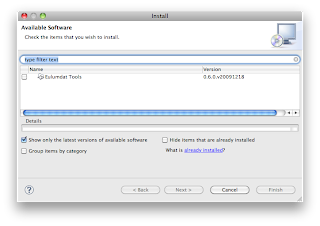 We can change the settings using Window/Preferences/Eulumdat Tools/Validation and switch off some tests. Now we are left with a manageable set of warnings and errors and we can proceed to clean up the data. More details on editing and using Quick Fixes will be covered in a next installment. Today I released another update to Eulumdat Tools, the Eclipse based workbench for working with photometric files. 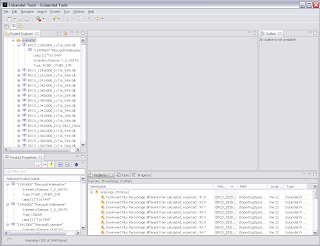 On the left is the Project Explorer where we create projects to store the files. The organization per project gives you the opportunity to organize all the files per product range, introduction date, per brand or country. When clicking on a file, it will expand to show the main elements of the content, like product code and name, lamp set and type. 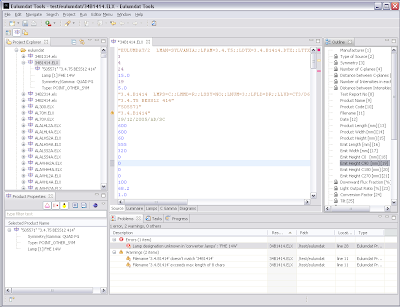 This view gives you a quick view of product code and name, lamp sets, symmetry and type of the selected file. 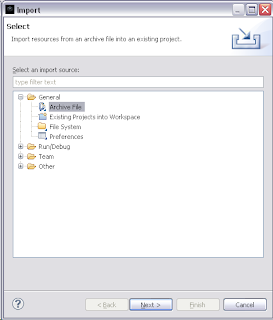 When you select multiple files in the Project Explorer, all will be shown here. 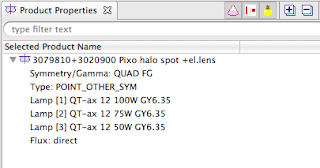 You can use the search field to narrow down and find all files with for example one lamp type. This view gives you a quick access to a certain line in the EULUMDAT file, so you don't have to count line numbers anymore. It also shows which lines you can edit freely, and which ones are best left alone. This is a smart Text Editor that knows the structure of EULUMDAT files. Lines are colour code to show the difference between integers, floating point numbers, and plain text. 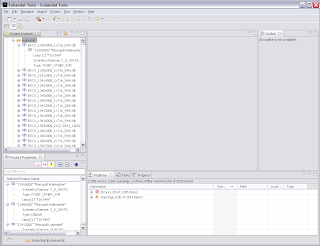 The Editor is shown in Source mode (see tabs at bottom), other views of the same EULUMDAT are also available. 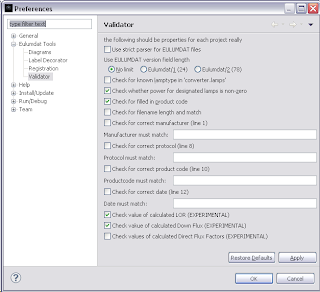 Included with Eulumdat Tools is a validator, that can be configured to check the brand name, lamp type consistency, filled in product codes, and many other checks. When the validator finds a problem, it is shown in the Problems View. Double clicking on the problem will open the Editor with that line selected. This workbench comes with many other features, like converting IES to EULUMDAT files, importing from and exporting to ZIP files, creation of images, export to UF or E100 lux tables, etc. All of this will be covered in future blogs.